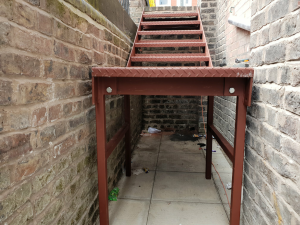 DNL Steel Fabrications has over 40 years experience and offer all aspects of metal & steel work designed and made to order. Including free site survey, 3D modelling, Health and Safety package. We have quickly built up a reputation as one of the leading manufacturers of bespoke steel fabrications in the area and beyond. We offer a wide range of domestic, commercial and industrial fabrication options, meeting the needs of clients in a variety of business sectors. From metal fire escapes, gates and railings, to structural steel work, our team of specialists can provide expert design, manufacture and installation solutions. 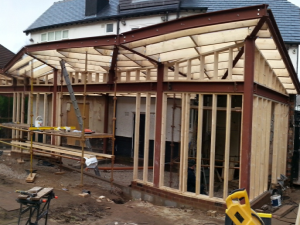 Building an extension on your home is an exiciting project. Not only will you be adding value to your property, you can almost double your living space size. Any extension has to be built right and there are many rules and regulataions that govern the buidling of extension. A Local church in Liverpool 4 was undergoing extensive refurbishment. In order to comply with modern safety regulations new fire exits were installed with a new Steel staircase. The job was complex with very limited space available but our experienced team, were able to fulfill the order. Daniel House in Bootle, Liverpool a 16 storey apartment block needed our skills as steel fabricators to provide a fabricated steel frame to support the extension which was to be built onto the roof. This extension was to house the new Bar 14 Grill which as you can see offers amazing skyline views. 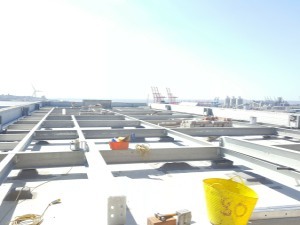 Steel Fabricators in Liverpool for Over 40 Years. Here at DNL Steel we are passionate about what we do and try our utmost to get it right for our customers every time. We have a highly skilled team with years of experience, we can provide drawings for your project and work directly with you or your builder. All our staff are fully trained in health and safety best practice. Before we begin on site we develop our own site work method statement and ensure our team are fully committed to this. All our steel fabrications are manufactured at our Liverpool workshop.